If you are looking for a fast, reliable and versatile A4 b/w office printer, Kyocera presents the P2040dw device.They sport a very short time to first print and an enhanced print speed of up to 40 pages per minute. It benefits your workflow with many features, such as standard duplex and network functionality, a high paper capacity and standard Wi-Fi. 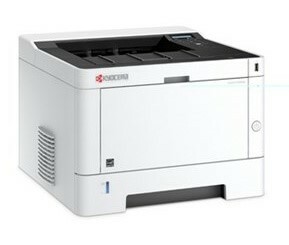 See the manufacturers web site Kyocera ECOSYS P2040dw for more information.